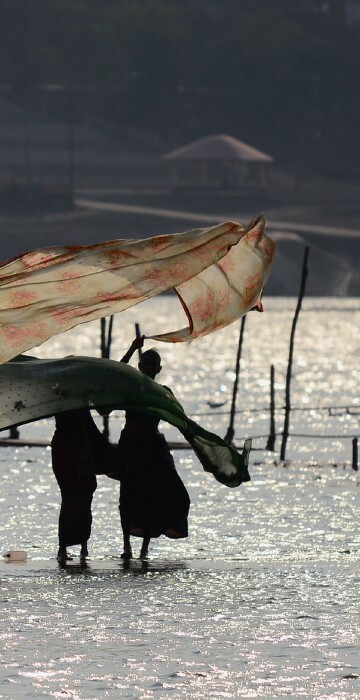 See the best 10 photos of the day. 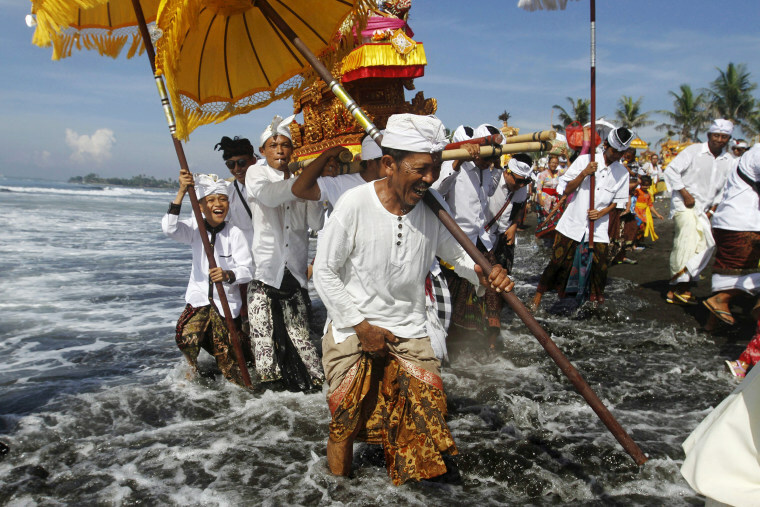 Balinese Hindus carry Pratimas, or symbols of God, on the beach during Melasti, a purification ceremony, ahead of the holy day of Nyepi, in Gianyar on the Indonesian resort island of Bali, on March 6, 2016. Nyepi is a day of silence to celebrate the Balinese new year, reserved for self-reflection, where people are not allowed to use lights, light fires, work, travel or enjoy entertainment. Japan's synchronized swimming team performs during the free routine final in the FINA Synchronized Swimming Olympic Games Qualification Tournament at the Maria Lenk Aquatic Centre in Rio de Janeiro, Brazil, on March 6, 2016. 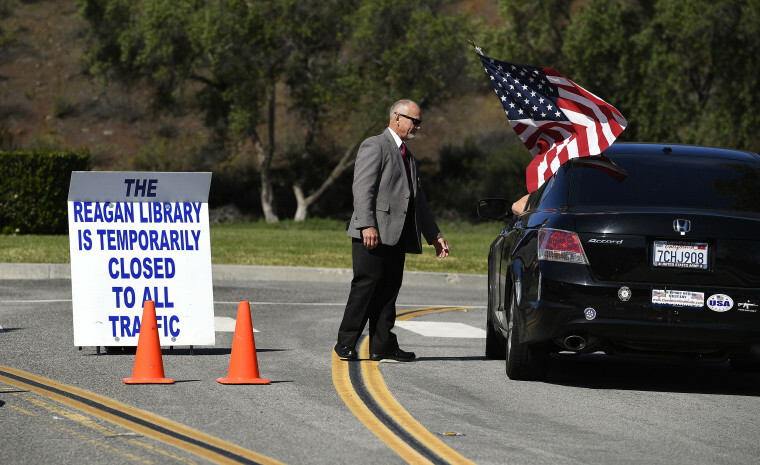 Security guard Doug Wiley tells Andy Hall that the Ronald Reagan Presidential Library is closed, March 6, 2016, in Simi Valley, Calif., after former first lady Nancy Reagan died at 94. 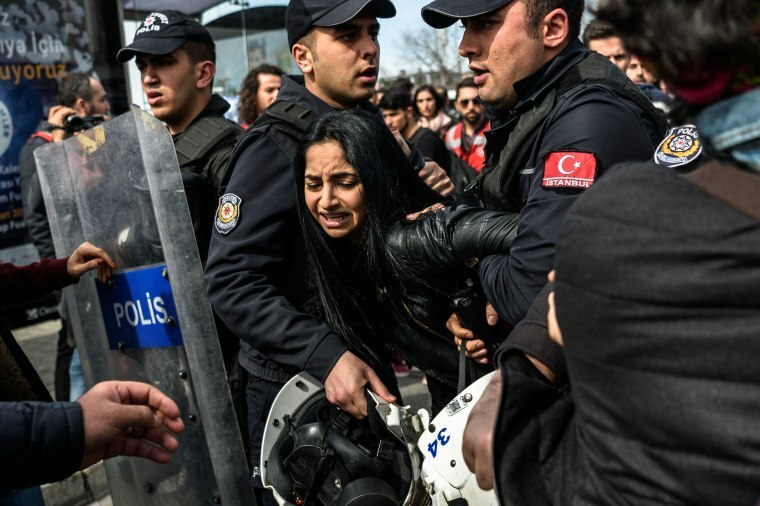 Turkish anti riot police officers detain a woman on March 6, 2016, during a march in Kadikoy district in Istanbul to mark International Women's Day. 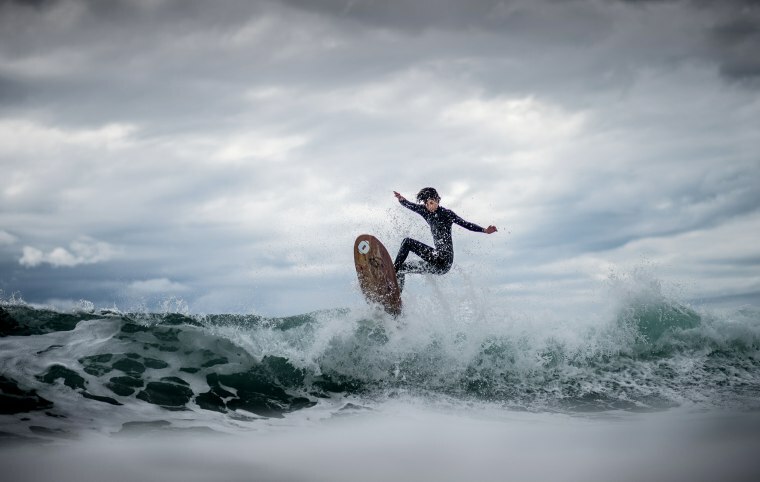 A surfer rides a wave on a day of swells generated by strong winds on the Mediterranean sea in Varazze on March 6, 2016. 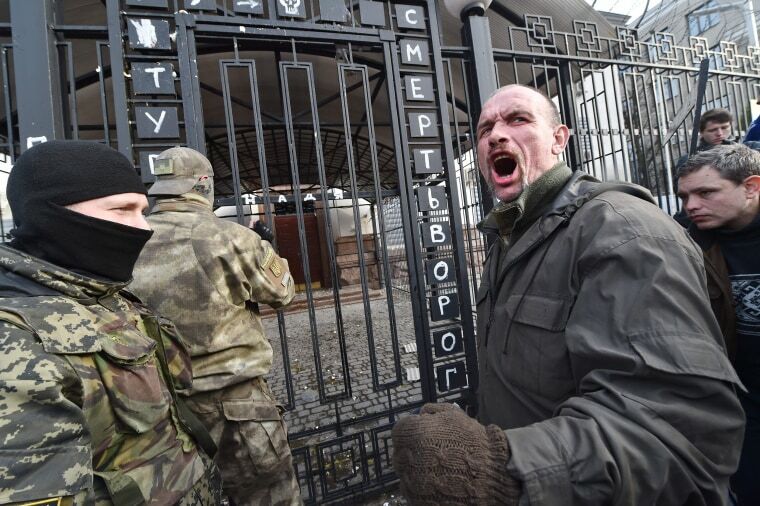 A protester shouts in front of the Russian embassy in Kiev on March 6, 2016, during a rally to support and demand the release from jail of the hunger-striking Ukrainian pilot Nadiya Savchenko. The pilot, who this week rejected food and water to protest delays in her controversial murder trial in Russia, is in "satisfactory condition," her lawyer said on Sunday. Nadiya Savchenko, 34, is demanding she be repatriated to Ukraine after a judge in the southern Russian town of Donetsk on Thursday unexpectedly postponed her final address to court as her trial over the 2014 killing of two Russian journalists in east Ukraine nears an end. 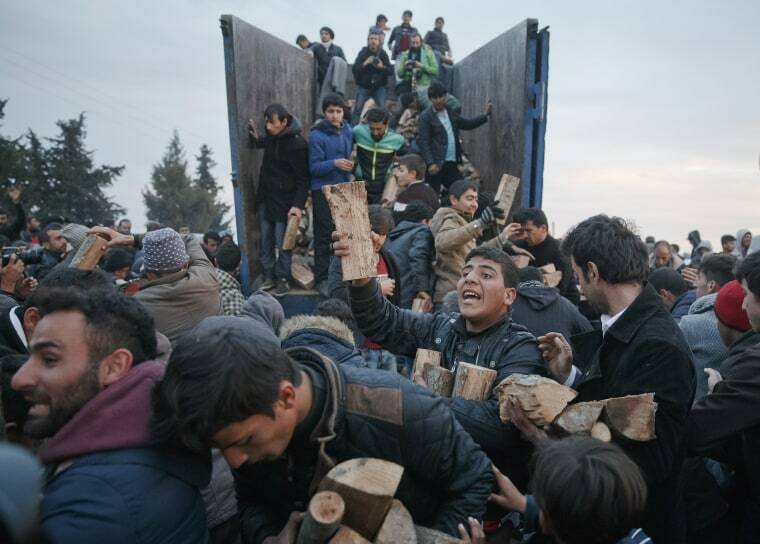 Migrants mob a truck bringing donated firewood at the northern Greek border station of Idomeni, on March 6, 2016. Greek police officials say Macedonian authorities have imposed further restrictions on refugees trying to cross the border, saying only those from cities they consider to be at war can enter as up to 14,000 people are trapped in Idomeni, while another 6,000-7,000 are being housed in refugee camps around the region. 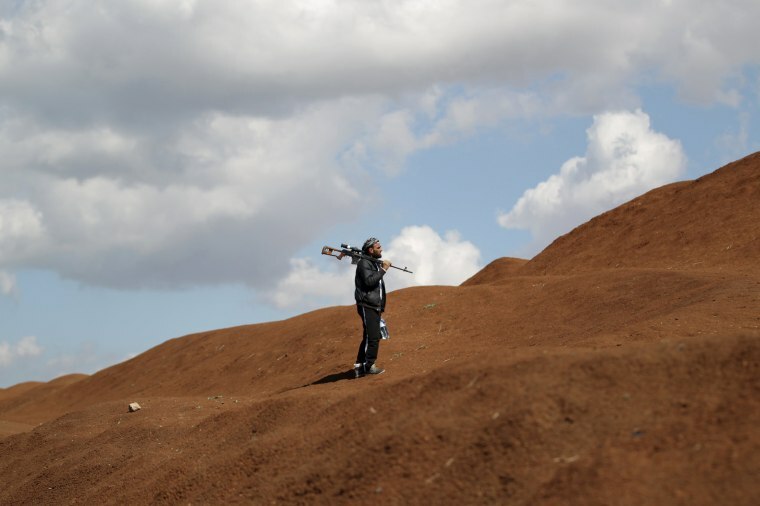 A rebel fighter from 'Jaysh al-Sunna' holds his weapon as he stands behind sand barricade in Tel Mamo village, in the southern countryside of Aleppo, Syria March 6, 2016. 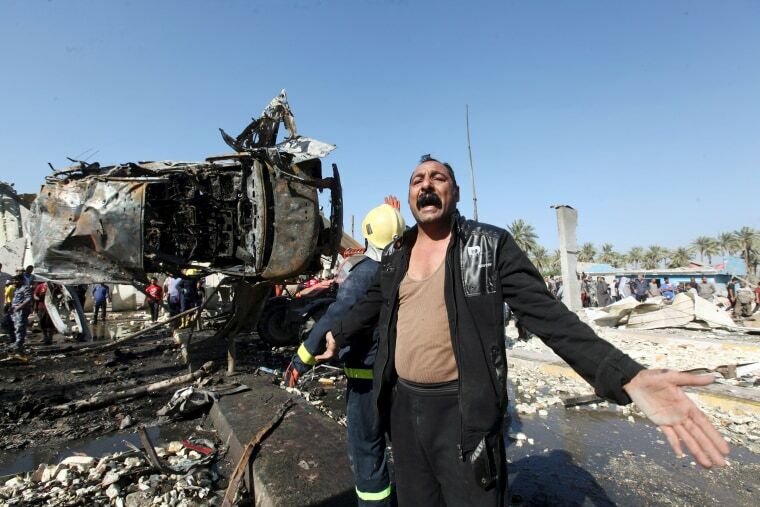 A man reacts at the site of a bomb attack at a checkpoint in the city of Hillah, south of Baghdad, March 6, 2016. 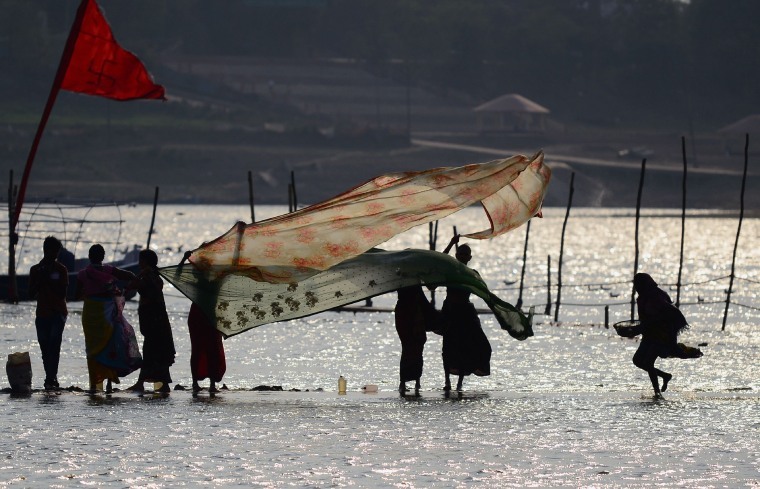 Indian women dry their saris after taking a dip at Sangam, the confluence of the Rivers Ganges, Yamuna and mythical Saraswati, in Allahabad on March 6, 2016.